We are planning to send out some bumper boxes of baby layettes. I remember when my babies were born being inundated with lovely gifts of hand knitted goodies, not to mention the things that I made myself. It felt great to have lovely things, old and new, to dress my baby, plus blankets to feather the nest. I can imagine if you didn’t have family to provide that you may not have the benefit of this comfort. That’s where the knitting comes in. Here is one that’s nicely made up. 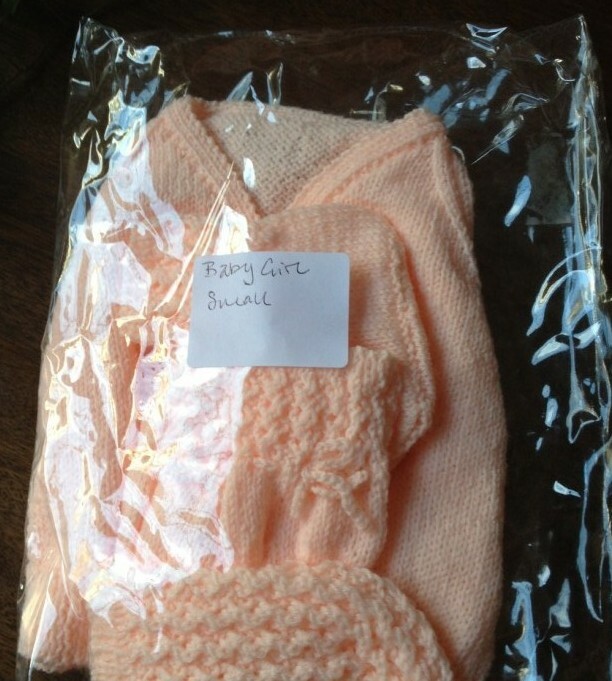 The pack comprises a cardigan, bonnet, mittens and booties sealed in a transparent bag and labelled. These will be handed to mothers as they leave hospital or maternity clinics. 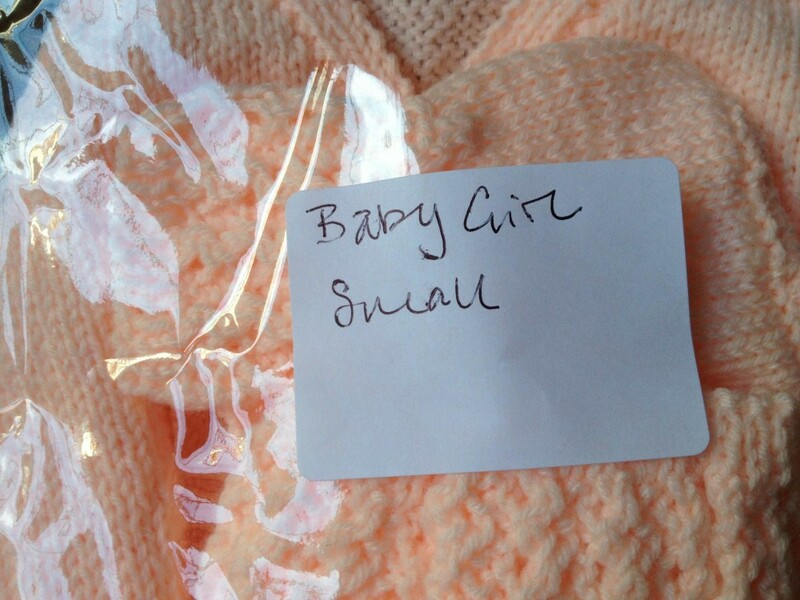 A layette could be for a premature, small, medium or large baby. Some babies are too big to fit into ‘newborn’ sizes, while others take some time to grow into even the first size. So don’t worry too much about the contents, patterns or the sizes, as there will be plenty of need for all sorts, boys and girls, large and small. Your pack might contain a cot blanket or a toy or a jumper and a hat.Send them in to us and we’ll let you know where they go.